Discover how our cells work for your cells! 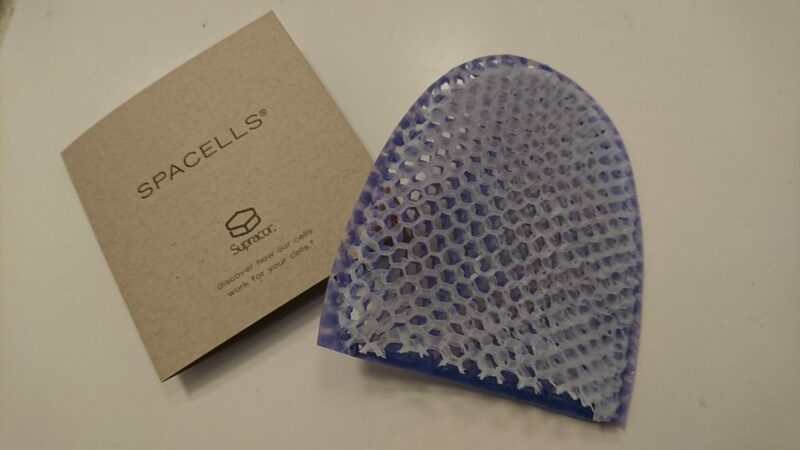 You’re about to experience a revolutionary facial sponge that not only cleans and removes make-up, but exfoliates and massages your skin, stimulating blood and lymph flow decrease puffiness, eliminate toxins and promote cellular regeneration. Use daily for softer, smoother, younger-looking skin. Slip your fingers into SpaCells with the natural side against your skin. Cleanse your face, neck and decollete area with your favorite soap or cleanser. 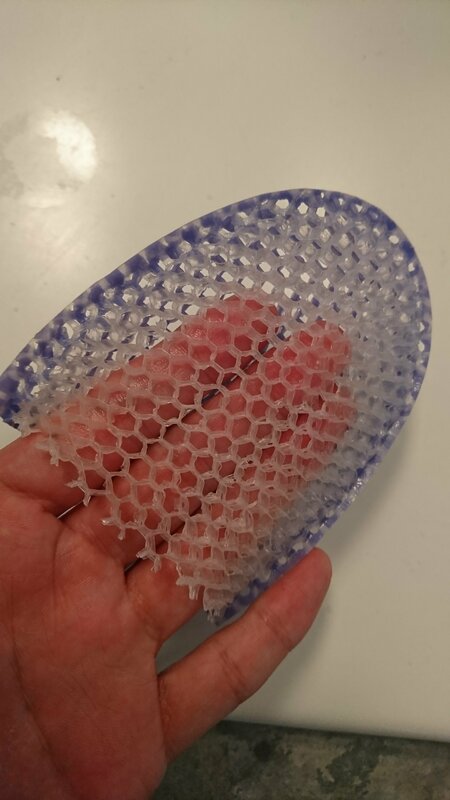 The Flexing action of the honeycomb cells removes dirt, make-up and dead skin cells, leaving your skin smooth and clean. Use the colored side of SpaCells to cleanse and exfoliate thicker skin areas such as backs of hands and forearms. Give yourself a rejuvenating facial in less than 5 minutes. Apply your favorite facial cream or moisturizer. 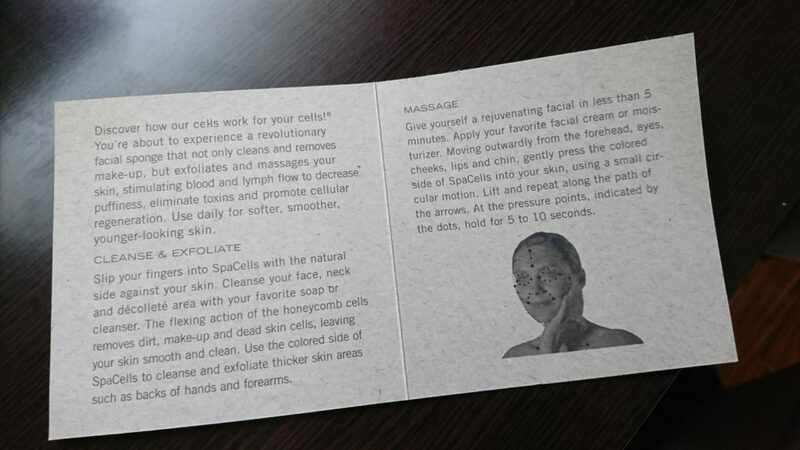 Moving outwardly from the forehead, eyes, cheeks, lip and chin, gently press the colored side of SpaCells into your skin, using a small circular motion. Lift and repeat along the path of the arrows. At the pressure points, indicated by the dot, hold for 5 to 10 seconds.